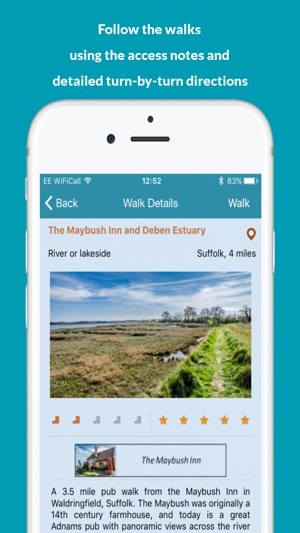 Explore the UK with iFootpath - Walking Guides in the Palm of Your Hand. 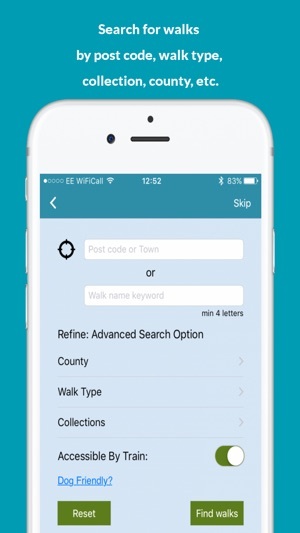 "Great app - been looking for a good walking route app for years." "This app has totally changed my life, I absolutely love it." "Great walk, instructions were very detailed, perfect!" 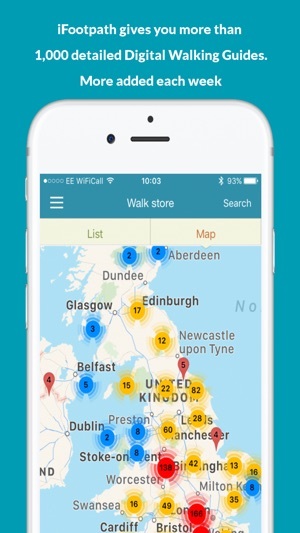 With more than 1,350+ Walking Guides (March 2019) the iFootpath App (along with its partner website iFootpath.com) has been created to inspire everyone to get out and enjoy beautiful walks across the UK. Every Walking Guide includes full turn-by-turn directions, photographs, driving directions (to guide you to the start of the walk), access notes (so that you know about stiles, livestock etc) plus a GPS-powered live map (a satellite map of the area marked with the walking route and showing your live location as you walk – you can say goodbye to wrong turns). - Check out the coverage of our walks before you buy - see iFootpath.com. WALKING GUIDES WITH WIDE APPEAL…From town trails to riverside strolls and countryside rambles, we are building a library of walks for everyone to enjoy - be it alone, with your dog or with family and friends. There are pub walks, city walks and coastal walks with something for all abilities, from 1 mile to 14 miles long. WALKING GUIDES IN EVERY ENGLISH COUNTY…New Walking Guides are added every week and coverage varies regionally. The counties with the most Walking Guides include Surrey, Yorkshire, Sussex, Berkshire, Derbyshire, Cheshire, Hampshire, Suffolk, West Midlands, Worcestershire, Warwickshire, Dorset, Essex, Lincolnshire, Lancashire, Cumbria, Oxfordshire and Staffordshire, but all counties in England have some walks to enjoy. 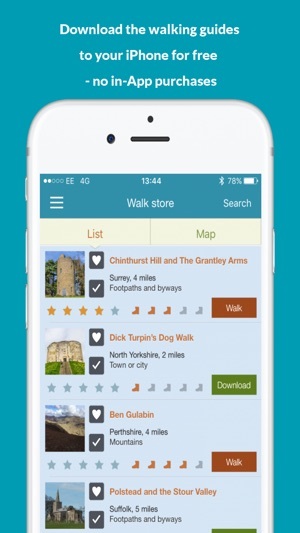 WALKING GUIDES WITH A DIFFERENCE... Like other walking apps, iFootpath provides the ability to collect and share GPS map data, but that's only the start. The walking guides are beautifully presented and enhanced with rich information optimised for walkers – full descriptions, turn by turn instructions, photos, access information (stiles, gates, terrain, livestock…) historical notes, audio snippets, satellite maps showing the GPS trail, what to see along the way and the author’s insight into what makes each walk great. Thank for using iFootpath. We continue to add new features and improve existing features based on user requests and technology trends. I’ve used the app quite a bit at home (Hampshire, Surrey, Berkshire borders) and have found it invaluable to explore off the beaten track and discovered so much countryside in our built up county. It’s invaluable particularly as I often walk alone, the instructions are so easy to use and the map also really gives you confidence in case you misread the steps. Thank you for your review & feedback it is very much appreciated. Been using now for a few weeks and so far it’s been excellent. SO informative with the walk details and although initially I wasn’t keen on the “Hybrid” maps I am now getting to prefer them! The GPS tracker is very accurate but I haven’t been on any hill or mountain walks, I use this tracker to maybe tailor the walks to my preference of using public transport to and from walks. With this in mind I can “join” walks say in the middle, even do them in reverse using the map as a guide not the turn by turn directions. So overall a VERY useful App, and will continue with it in preference to my other O.S.Map based App! Extremely helpful developer who is easily contacted...always a good sign!! Thank you for your review it is very much appreciated. 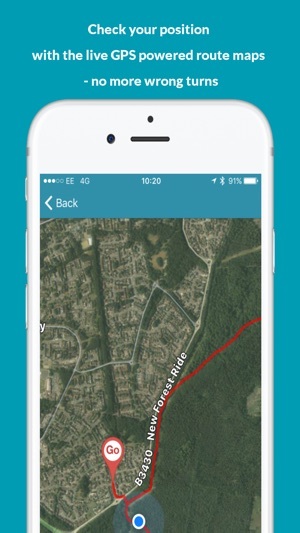 We’ve only done a couple of these walks but we love this app! The walks are great, lots of options and the directions are far better than I have found from other sites. The download feature for the directions is super useful, as roaming the countryside doesn’t always have 4G! The little facts included with in the directions are such a special touch. 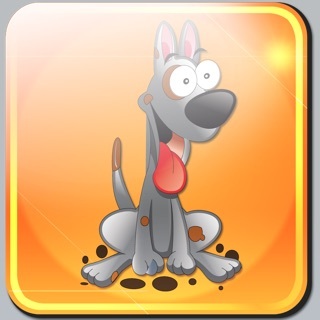 Details of dog friendly and levels of difficulty make this app pretty much everything you need! Will be recommending to others for sure!